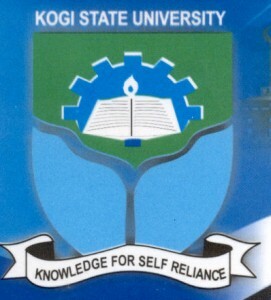 Following the protest staged by the Medical students of Kogi State University (KSU), Anyigba, on Monday, over continued non accreditation of their faculty for over five years, the management has directed them to embark on a two weeks mid-semester break. 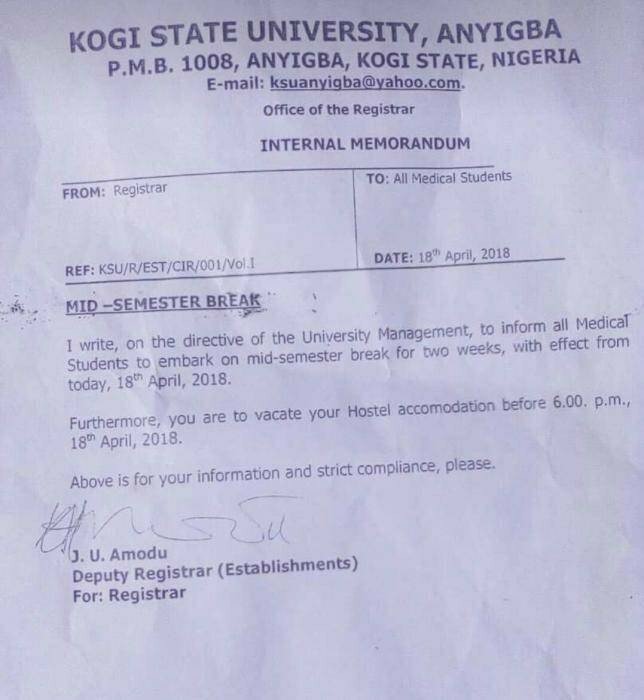 I write, on the directive of the University Management, to inform all Medical Students to embark on mid-semester break for weeks, with effect from today, April, 2018. Furthermore, you are to vacate your Hostel accommodation before 6.00. p.m., 18m April, 2018. Above is for your information and strict compliance, please.